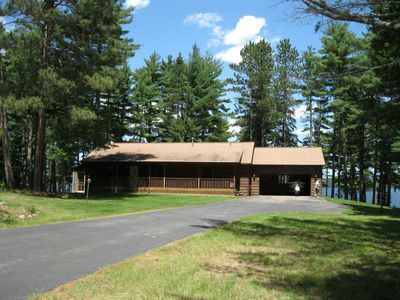 All the amenities of home, but at the lake! 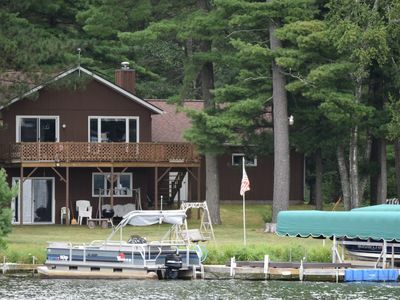 Finally, a place on the lake that will satisfy any age. 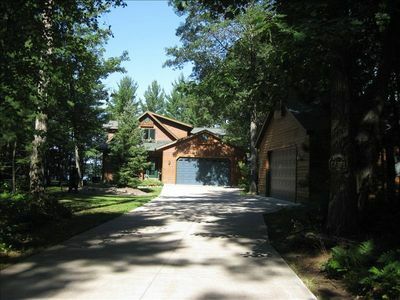 This lake house features 5 bedrooms and 3 baths on 3 log cabin levels. 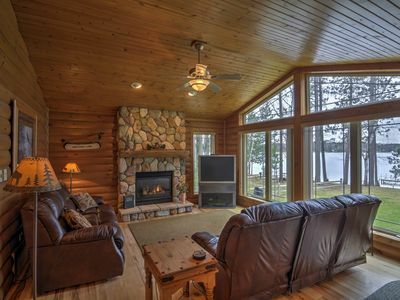 Charming, rustic decor welcomes you to the North, but technological amenities keep you connected to the world. 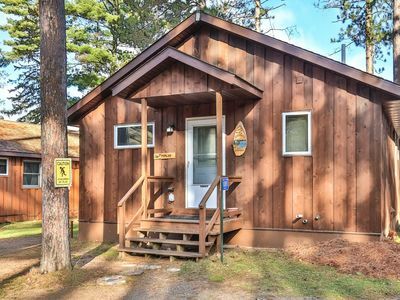 Enter your getaway to an open concept main level with two bedrooms and a bathroom. You'll find the Master bedroom lofted above with its en suite bathroom. 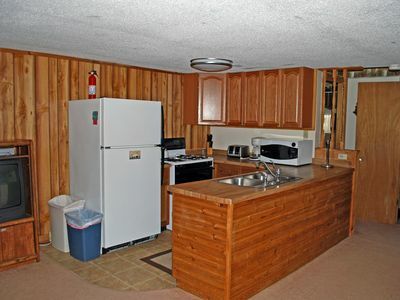 Below, you'll find two more bedrooms, bathroom, pool table, and wet bar. Both levels feature a 50' hdtv with bluetooth soundbar, while the loft features a 35' hdtv. Stay connected during your extended stay via complementary WiFi. Now it's time to get outdoors! 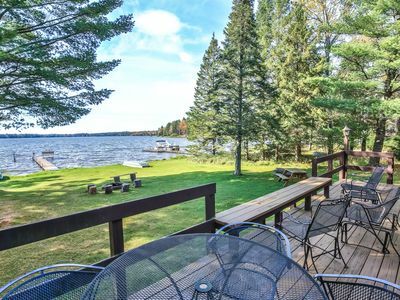 You've seen the view of lake Little St. Germain from this cabin sitting atop a hill, now either walk the steps or take the golf cart down the path to the waters edge. 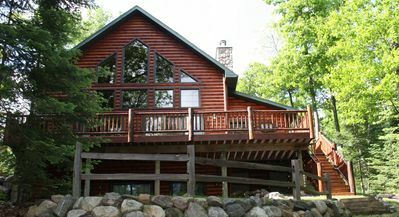 There you'll find two (2-person) kayaks and 2 single kayaks,fire pit and a pier to relax on. 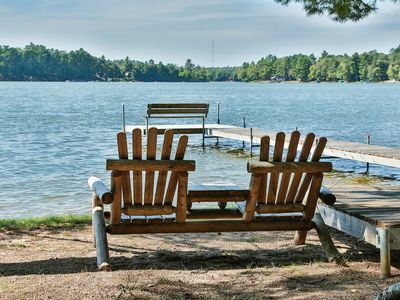 You'll spend hours pining over the views of this 1,000 acre lake. Back indoors cozy up to the field stone wood-burning fireplace on the main level, while you make dinner in the kitchen that seats 11. After dinner take the party downstairs and play games in front of the gas fireplace. 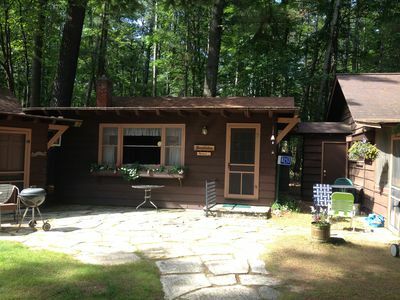 Other amenities include 3-car detached garage, two acre setting in secluded woods, access to snowmobile trails from driveway, and walking/biking paths nearby. 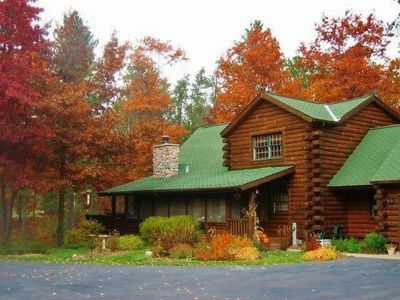 Luxury Log Cabin on 9 Secluded Acres on Big St Germain Lake!